Tahoe Vista is off the beaten path in Lake Tahoe. It's away from most of the tourist areas, but still close to nature and the lake. This area of the lake is a favorite spot for water lovers and offers several boat launches. There is also a few great places to eat and stay. Tahoe Vista is a great place to be outdoors. This area on the Northwest shore has some hidden beaches for kayak launching, the Tahoe Vista Recreation Area boat launch and the North Tahoe Regional Park for the kids. 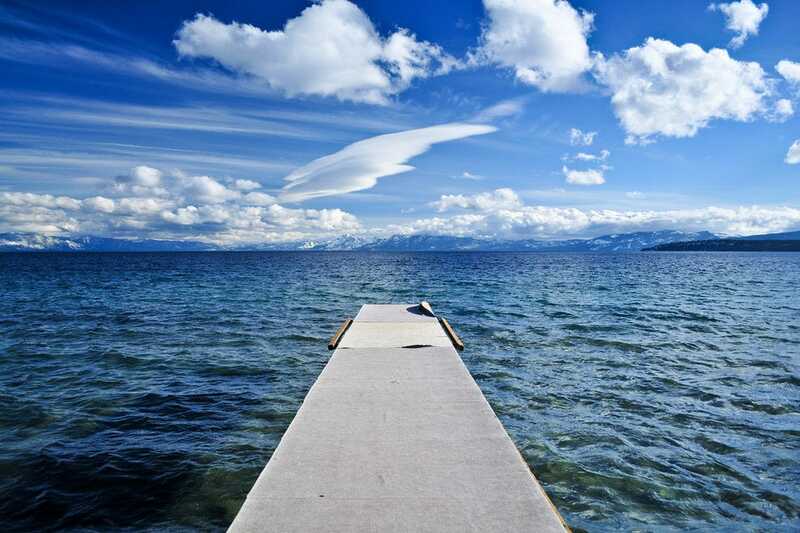 The North Tahoe Marina offers power boat rentals, a ramp launch and local fishing boats. The Wild Goose offers some of the best waterfront dining on the lake. The restaurant has a deck and view of the lake that can't be beat. The interior is chic, clean and "green" with a fireplace on the deck. The food is elegant Italian style with interesting appetizers like Beef Tenderloin Carpaccio and Fig Salad. Try the Wild Goose Burger with kobe beef, onion crisps, tillamook cheddar, aioli, lettuce, tomato. The wine list is extensive and the dessert list includes dessert wines and ports. The popular Gar Woods restaurant and bar is a local hangout for both nightlife and daytime relaxing. It's best known for it's wonderful pier and wooden boats, but it also has a great menu and a fun bar. The floor to ceiling windows, large deck and balconies provide breath taking views of Lake Tahoe and the Sierra Mountains. The menu highlights mainly California cuisine, hand cut steaks, fresh pacific seafood, pizzas, pastas and salads. Enjoy all the pleasures of Lake Tahoe from your cozy cabin, or comfortable room or suite in the lodge. The Cedar Glen Lodge offers Lake access right across the street, seasonal outdoor heated swimming pool, tot tub, sauna, fire-pit, picnic areas, barbecues, nightly campfire, outdoor games and one acre of untouched natural beauty. The Cedar Glen Lodge cottages were built in 1950 in a beautiful rustic style. Currently, most of them are newly renovated with many rooms featuring fireplaces, full kitchens, bath tubs, flat screen TVs and all the comforts and amenities of today’s standards. There are not too many places to shop in Tahoe Vista (head over to Tahoe City or Truckee if you want to shop), but the Ski Butlers shop in Tahoe Vista has excellent ski gear rental and service. They will deliver ski and snowboard equipment and other winter gear directly to your rental home or hotel room.